I will be going back to my favorite country on earth and a lead a 13 day photo workshop from January 5th – 17th, 2019. The hidden jewel and land of enchantment of Southeast Asia is Myanmar, or what many of the locals still refer to as Burma. Bordered by Thailand, India, Bangladesh, China, & Laos, this country is a mecca for capturing one of a kind images. From the awe inspiring monasteries & temples to the simplicity of the soft spoken people, Burma stands out from the rest of Southeast Asia. It might be the least visited & explored country in that part of the world & that is what makes it so special. The hospitality of the locals make you feel like you are the first foreigners they have ever seen. It is truly a feast for the eyes in every direction and a place that will stay in your heart forever. This will be a trip for photographers who want to capture once in a lifetime images. My guide is one of the best guides in Burma and has guided many of the top photographers in the world. He is not only knowledgeable about every aspect of Burma but also highly respected and will go out of his way to please each and every one of us. We will be going to many unique locations for photography in all four of the cities that we will be visiting, often looking for monks, local villagers & children for our photos. Our trip will be about one thing and that is to be in the best light at the best time at the best locations. Photo opportunities are everywhere in Burma and we will all see why this country is the jewel of Southeast Asia. I have chosen mid January as it is the best time to be in Burma with the coolest weather and a great angle for the sun in Mandalay. I know this country well and want our group to have the most amount of photo ops without other people bothering us. 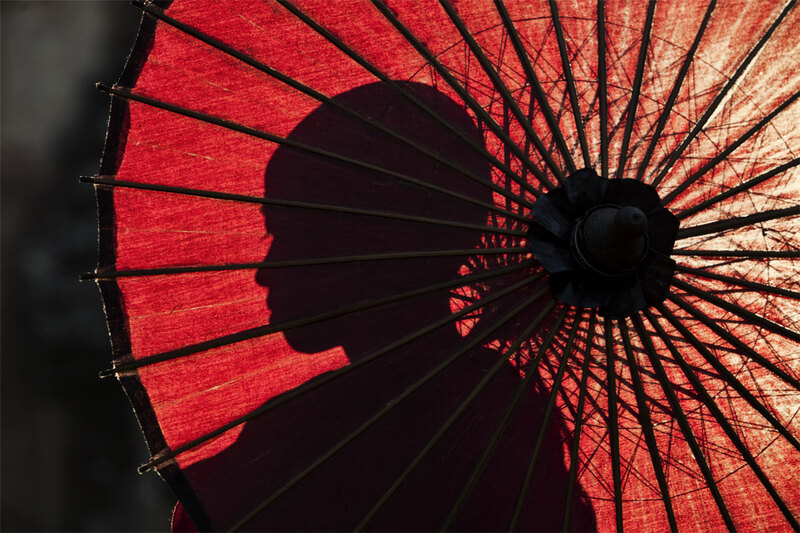 This magical place called Burma is a photographers paradise and this trip is for people that are serious about capturing great images and are not just here for a sightseeing trip. Our itinerary includes the capital, Yangon with it’s many sights and sounds including the golden Schwedagon Pagoda and colorful early morning fish markets. We will also be there for the Kayin new year festival. 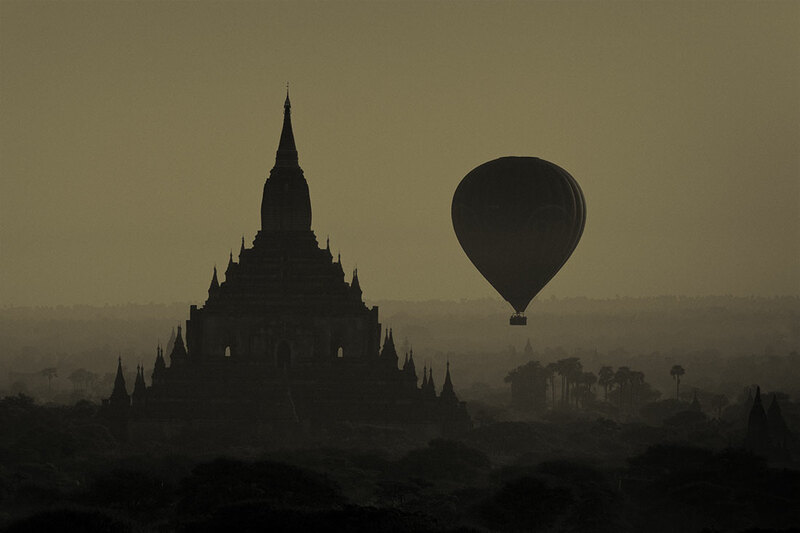 We will then visit the ancient religious city of Bagan, where the landscape is filled with thousands of temples and is one of the most special places on Earth. This is probably my favorite spoton this planet and the eye candy in every direction is beyond stunning. Next is Mandalay, where we will photograph monks and local children in and around local villages and many of the amazing temples and monasteries. We will also be shooting the famous 1.2Km teak UBien Bridge at sunset, capturing monks and locals carrying their wares & goods atop their heads. 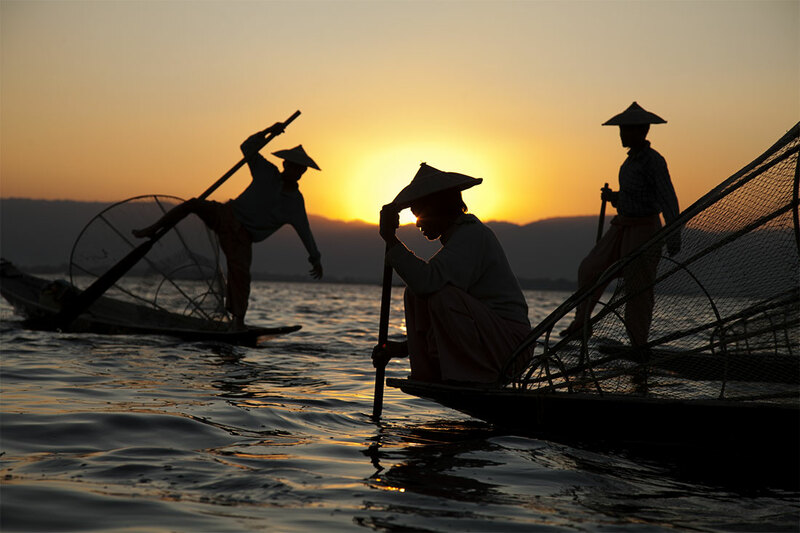 In Inle Lake, we will photograph local fishermen in their traditionalfishing boats, the Padaung long necked women, bustling local markets and a floating monastery. My love affair with Burma began long ago in 2001 and after multiple journeys throughout the years, there is nowhere I would rather be. 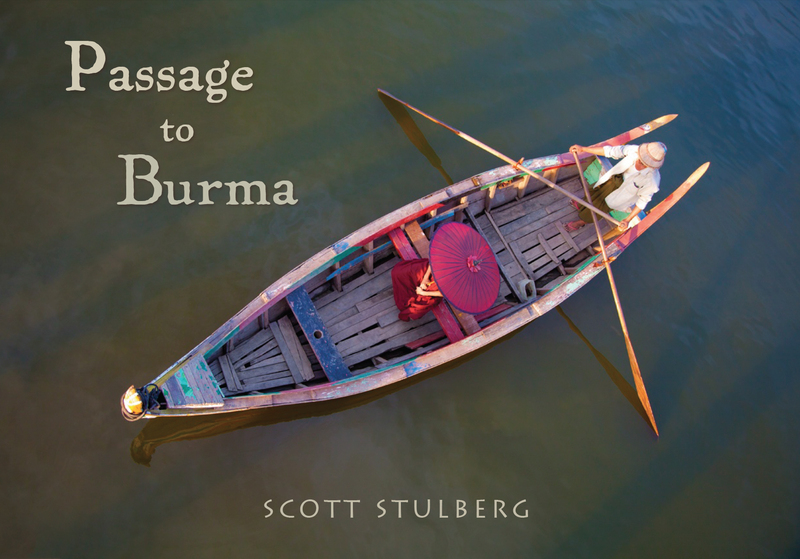 A few years ago, I was lucky enough to get a book deal with Skyhorse Publishing in New York to make a 270 page coffee table book called Passage to Burma, which this link will take you to. Inside the book are most of the cities we will be be traveling to within Burma and it was a labor of love that was years in the making. Last November, the second edition was published with many new images. During the workshop, we will also will be able to see many of the people in the book including my favorite monks and monk masters and also gorgeous little children that I adore to pieces over there. One of the special places inside the book is a grade school where they let me teach English to the school kids and we will all be able to go to this school and watch them learn English. The cost for the workshop will be the same as my last two workshops and I am happy to announce this as costs always seem to go up in this country!!. The workshop will be approx. $7.700 based on sharing a room with someone else. The single room request will be $1,400 and if we cannot find a roommate for you and you did want to share, you would have to pay the single room supplement. We are also staying in an amazing luxury hotel in Inle lake that is incredibly special and has made the costs go up too. Also, If I took a larger group, then I could charge less, but that is not what I like or want. The price includes: lodging, all meals, domestic economy flights, ground-transportation, guide/translator, boat fares on scheduled rides, entrance and archaeological fees for scheduled visits, portage charges at airports and jetty, camera and video fees. A visa for your passport is required for Burma which can be easily obtained by their new online eVisa system. The price is based on two people sharing a room as is the same with most international workshops and to have your own room and not want to share is a Single Room Supplement fee. 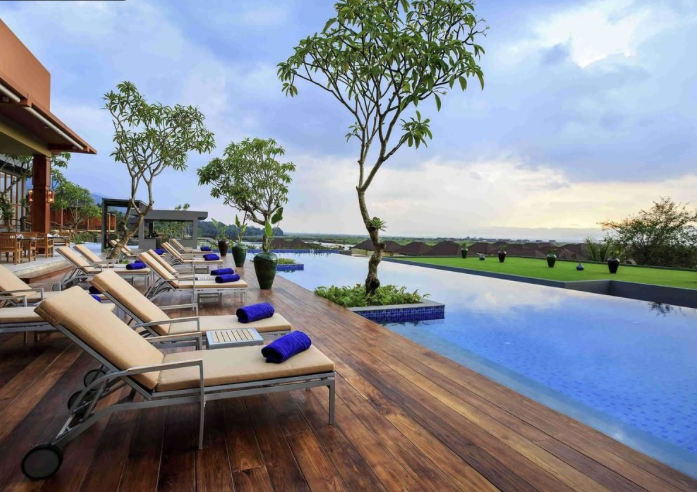 It used to be much less and I am not happy about this but I also only want to stay at some of the best hotels in Burma, rated at 5 star and many workshops charge less but the hotels are very bad. I have stayed at some of them and this is not what I ever want for my workshops and I insist on great hotels. Not included: International airfare to and from Yangon, airport taxes, entry visa fees, alcohol, soft drinks and personal shopping and tips for drivers, models, monks and our guide. The workshop is limited to 8-9 participants. I do not like large groups, as I said, especially to this beautiful place and I will be working with everyone individually and as a group to better their photography skills, throughout the entire trip. I take larger groups to other destinations but for what I do with my groups in this special country, even eight people is pushing it. I do not leave the group and do my own shots as other leaders do but let everyone participate in unique set ups that I design with my guide as I will share many ideas and techniques with everyone on creating compelling images. No one else does that but I want everyone to experience what I do, especially in Burma. I want everyone to have an amazing experience and I know no other instructor will give a workshop like this. I have heard from others what they have gotten on other Burma workshops and I know none work harder than me. You will see if you join me. I will speak individually with each person in the group and want to know each of their wishes and goals. I also cannot guarantee that the workshop will run as sometimes this happens. So far, this has not happened to me but just want everyone to know there is always a chance of a workshop not running without the right enrollment. Trip insurance is also highly recommended. Basic understanding of your camera operations including using f/stops and shutter speed is needed for this workshop. This workshop is for the intermediate to advanced photographer wanting to expand their knowledge of photography & capture one of a kind images in this special part of the world. Good camera gear is expected and a tripod although optional is very important and I never travel anywhere without one. I will go over camera gear with each person to make sure nothing is left at home. To register for The Burma 2019 Workshop, please click on the registration button to email me for a registration form & full itinerary. It is not complete yet as I am working on last minute details but should be available shortly. For more information about reserving a space, deposits or anything else, please e-mail me anytime. This workshop includes a small amount of walking and hiking and requires an average level of physical fitness. We will be supported by very nice buses in every city with plenty of room for all of our gear and you can also relax in the buses at any time. The climate is always hot and can be pretty humid at times but going in January is a good time of the year for the coolest temps. The average for January in many parts of Burma is around 80-90 degrees. Plan on being hot and bringing a towel to wipe away your sweat is always a good idea but the AC from the bus and hotels is always fantastic! Shorts are probably what you will want to wear most days with light shirts but nights can be cooler. I would also bring a few pairs of long pants and hiking shoes or tennis shoes, especially for Inle Lake where there can be some mosquitos. I like to wear good sandals such as Tevas…and you might want to bring a pair of these as they keep you cooler and cut down on bringing so many socks. A light rain jacket is a good idea too. The currency in Burma is the Kyat. We will exchange money as a group on the first day but make sure you bring extra cash for tips and also a major credit card since Burma finally is able to take credit cards in many places. U.S. citizens must have a passport which is valid for at least six months after your arrival date. U.S. passport holders must have an e-visa to enter Burma, which you will apply for online. I will give everyone instructions on how and when to apply for your e-visa as it is a lot of questions but is easy to apply. I love doing visas for foreign countries online! Burma uses 230 Volts, 50 Hz alternating current as the power source. Plugs and sockets have either grounded / earthed 3 Pin connections (Type D) or ungrounded 2 pin connections (Type C). You will need a plug adapter in order to use U.S. appliances. We recommend getting a universal adapter. View more information about electrical standards around the world. Burma is an extremely clean country and a jewel compared to some of its neighbors. I still only drink bottled water but the food in most places and drinks are very safe. Make sure you are up-to-date on routine vaccines before every trip. These vaccines include measles-mumps-rubella (MMR) vaccine, diphtheria-tetanus-pertussis vaccine, varicella (chickenpox) vaccine, polio vaccine, and your yearly flu shot. Hepatitis A: The CDC recommends this vaccine because you can get hepatitis A through contaminated food or water in Burma, regardless of where you are eating or staying. Typhoid: You can get typhoid through contaminated food or water in Burma. CDC recommends this vaccine for most travelers, especially if you are staying with friends or relatives, visiting smaller cities or rural areas, or if you are an adventurous eater. Malaria: Usually you do not need to take Malaria pills for Burma but talk to your doctor about how to prevent malaria while traveling. You may need to take prescription medicine before, during, and after your trip to prevent malaria, especially if you are visiting low-altitude areas. See more detailed information about malaria in Burma. any class for local in Myanmar? No local classes in Myanmar….sorry Zynny. I have people from other countries meet me in Burma…and hen we photograph all over yoru beautiful country!!!! I can definitely vouch for this workshop. I went with Scott in 2015 and had an amazing time. 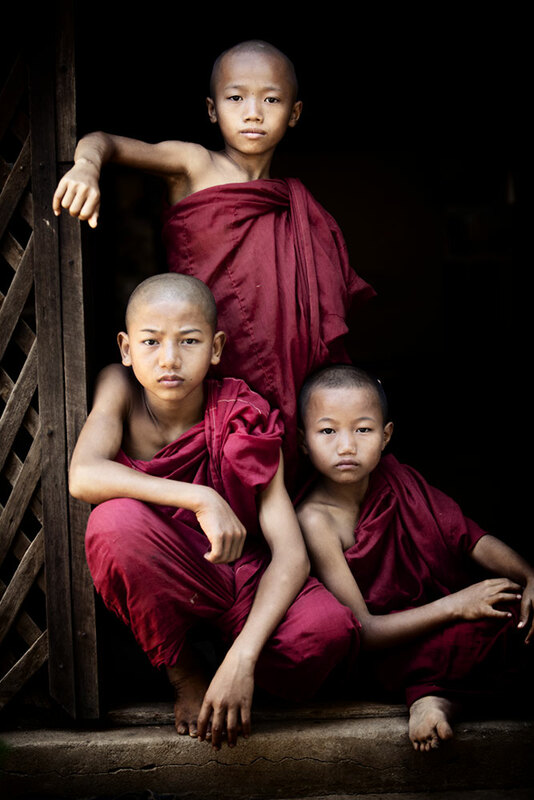 Burma is definitely the most beautiful country in Asia and offers so much to people who love photography and travel. 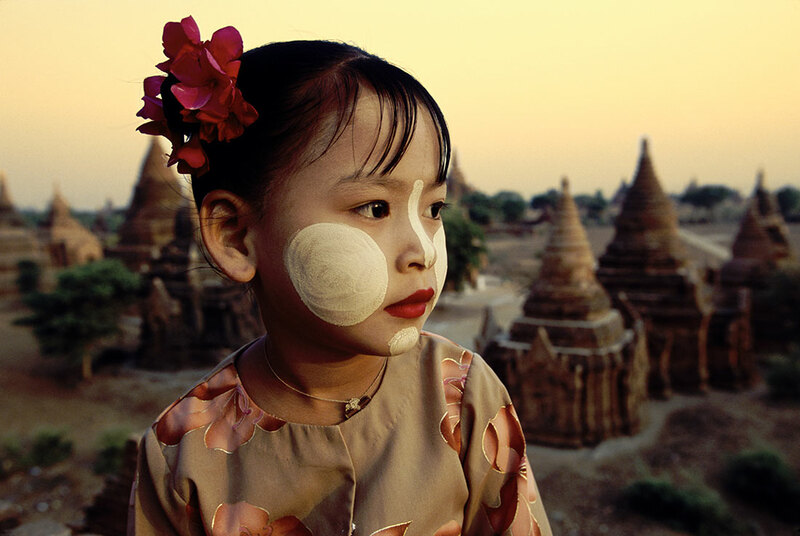 Scott brings a passion for his art and this country, and is fully dedicated to ensure workshop members get to experience Burma in all of its glory. Scott has an infectious energy and fantastic relationships with the Burmese people that gives access to areas off the beaten tourist track. You will see so much diversity in such a small country and I am sure you will love it as much as I did!